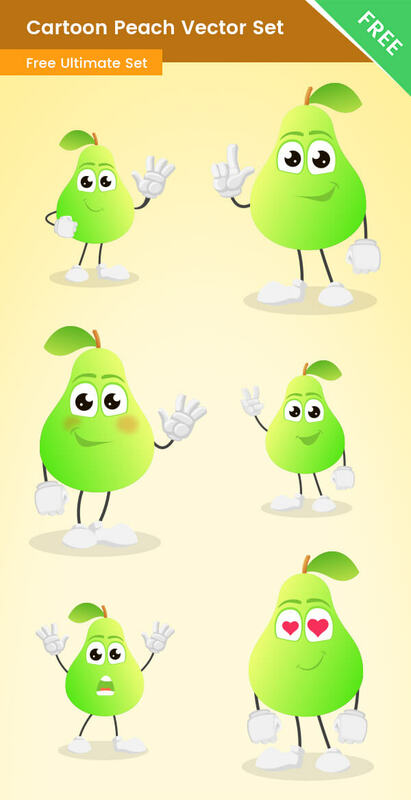 A Free Cartoon Pear character made in a set of 6 poses. This cartoon pear is available as vector Ai and a transparent PNG. Our pear character is available for free download and it is made of vector shapes. That means, that you can easily modify the character, and use it in high-quality projects without losing quality. If you are looking for more food and fruit characters, check out our Food Cartoon Characters.